Mostly, we just stored out old clothes in the boxes under our bed or in our basements instead. Because these are the pieces that are outdated and not necessarily today to wear since fashion is fast evolving. But you know what? 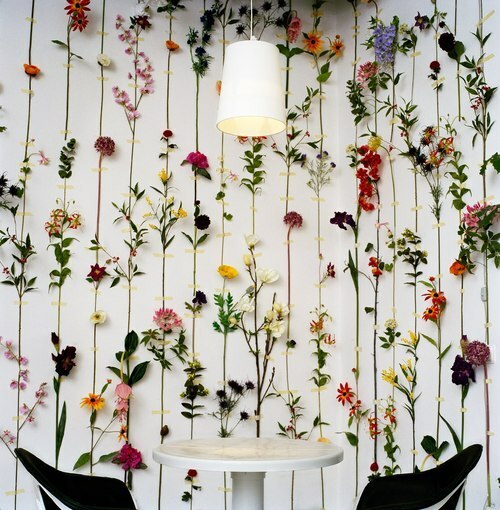 you can reuse all these old clothes and turn them in to newly looking trendy pieces one. How? That’s why am here to let you know on how you can make it. I actually compile some videos below where I got over youtube site for you to follow. 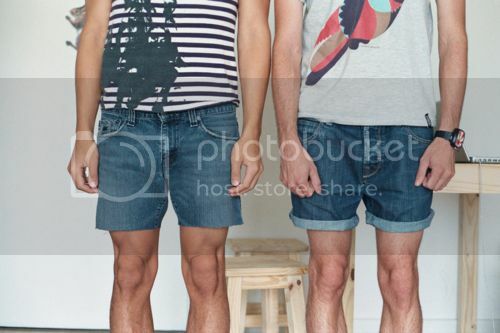 You can either got an idea on the top photo on how you can make the old blue jeans into great folded trendy shorts for men. I found these other videos below on youtube too that might get your interests too. Just check them all below or much better to check all of the people’s tutorials on how you can turn your old clothes or other pieces such as old kicks, heels, accessories and essentials in to useful and chic finds over YouTube. Because in YouTube we can learn all things. Alright, this post served as my “How to” post again here , a series of posts,. I hope I can consistently updated this series of post I made here, though sometimes I really forgot though to write and post about it due of my workloads and swamped with it. But will try to put more informative posts here that might help on your end. Christmas is fast approaching and as early as now I am already thinking of gifts to give to the special people in my life. I want presents that are unique and those that they will remember for the rest of their lives, not just the usual items that you can buy at the mall or online stores. I browsed the internet for ideas and found this really interesting website called Easy Canvas Prints (there are actually similar sites where you can customize products such as Allied Shirts and Build a Sign) where you can turn your pictures into custom canvas prints for decorating your home or to be given away as presents. 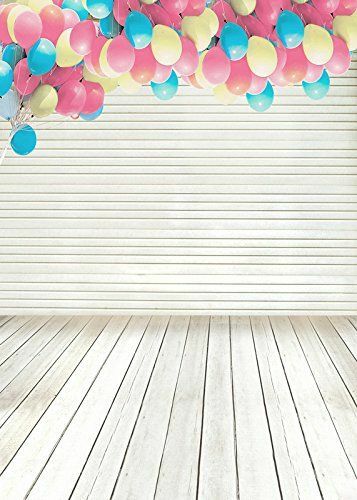 The great thing about this is that you can customize your canvas prints by uploading any photo to a selection of size choices, picking your depth, and selecting a custom border. It is totally up to you how you want your prints to look like. 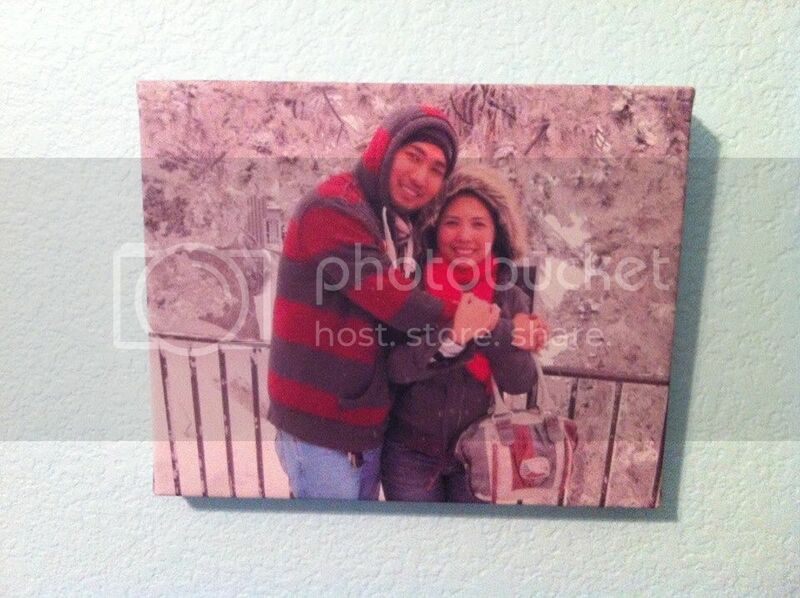 You can do the whole process in a matter of minutes through their Easy Canvas Prints design tool. Select from standard .75″ or gallery wrapped 1.5″ finished sides as well as custom canvas wrapped sides with image wrap, mirrored wrap, or custom hex code colors. If you are not satisfied with the way your prints look, these can be retouched by their team of art professionals. Other enhancements like Black & White or Sepia Conversion, photo collages and multi–canvas collages are also available. I saw some sample images at their website and they are really stunning. 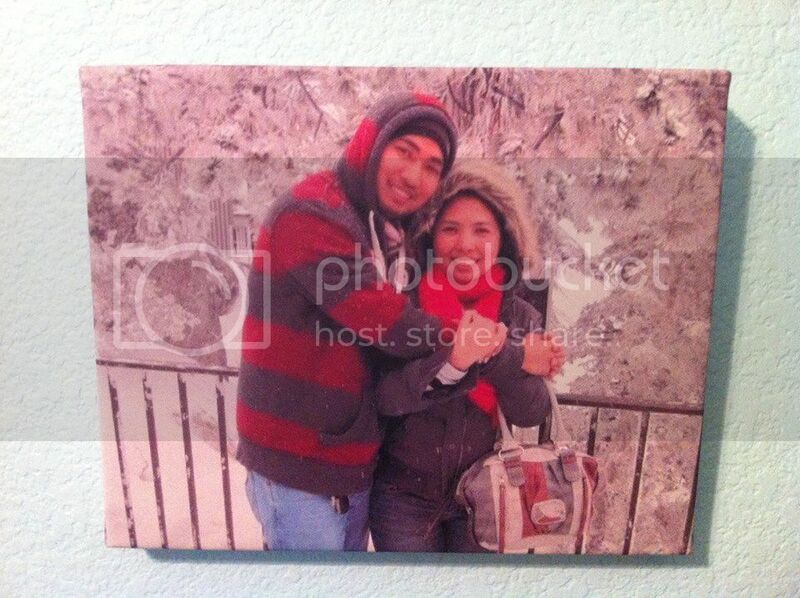 I can only imagine how beautiful my canvas prints will look like what with their semi-gloss surface. Plus, canvases can resist most scratches, smudges, fingerprints, etc. and are said to last for decades with proper care. If you are wondering what type of photos can be printed, then rest assured that you can print any digital image whether it is a painting or digital art or a photograph. Make sure though that you do not infringe any copyright. How To: Style The Soccer Socks? First and foremost, I am really sorry guys for not updating this site, istarblog.com, with my series of post called ” How to” because I’ve been so much engaged with some of the tasks in both online and offline works and sorts that I needed to attend with. I hope you can understand me on that. 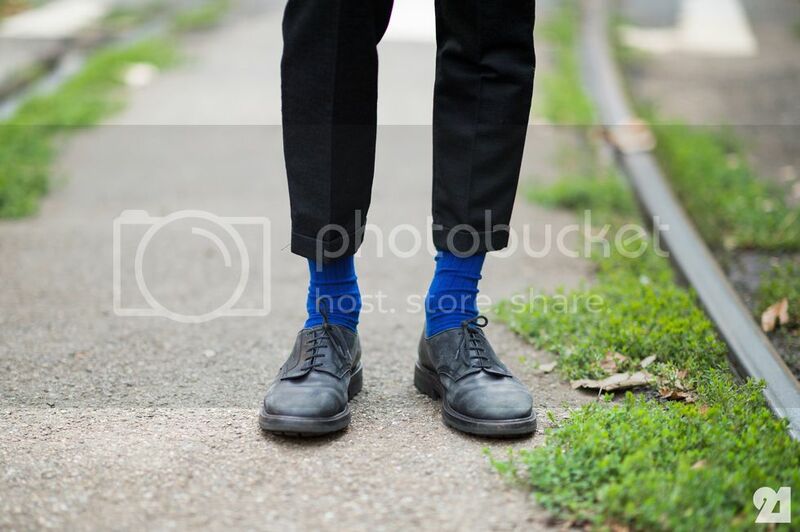 LOL Anyway, I was again here to post up this new styling which I’ve found recently over the web though this type of styling for men are been trend already years ago and yet am pretty sure that most of you aren’t yet familiar with it or havent it try for yourself yet which on how to style your soccer socks. Actually, there’s an various of styling out in the web these days having the high sock as an main pieces, however, you must have to be considerable in your pieces to pick. I suggest you to check the photo on top where all the guys are rocking themselves on their each soccer socks. What do you think about this dope or nope? Remember on styling on soccer socks must be pair off with on the dope shorts and you can either mic mic the styling of the guys at the up photo. But it’s not necessarily for the shorts because I’ve seen some styling too having the socks on sort of formal styling like how the guy below rock it. Maybe it’s really depend on what type or color of your sock is. And how comfortable your are wearing it. But on my own, I prefer to have it with shorts because I was in to shorts more than pants or jeans when it comes on my styling and fashion statements. 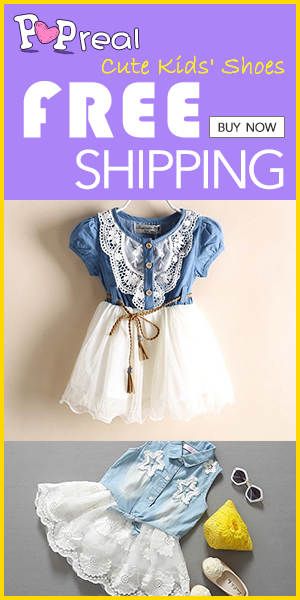 Also, girls can rock on this styling too as their fond of wearing it like on the photo on the top. Nope! kidding aside. Girls are can be good in this too, because I’ve also seen some girls even today( fall is approaching ) are wearing this socks with their shorts on. Sorry! I cant find any photo of girls rocking on the soccer socks as their fashion statements. So – yeah! Sport finds can be also use at some casual either in formal styling. All you have to do is to try to mix and match things for you to have a great styling that might most people looking forward to. Okay, that will be all for now and I hope you can find this post quite informative and helpful on your end as you seek sorts of information about what’s hot and not today in the fashion industry. The thing I hate most about myself is my hair. It is dry, damaged, hard to manage, and has a lot of split ends. Although I very much want to go to the salon and have it treated, I just do not have the luxury of time to do it. I am also on a tight budget so I would rather spend my money paying my bills and buying more important necessities like groceries rather than paying for all those chemical treatments on my hair. But that does not mean that I do not care about how I look because I do. 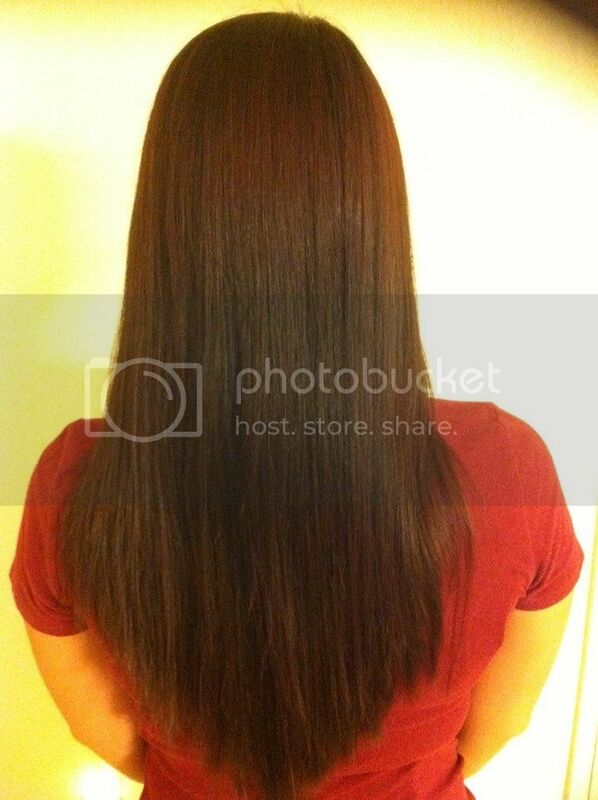 That is why I am always searching the internet for hair products that are very effective and yet affordable. Frequent trips to the salon for hair straightening procedures will leave your hair damaged to the point that it becomes unhealthy. I have heard of horrible stories of women going bald because of too much chemical treatments. That is why I would rather find great products that would make my hair looking beautiful. In my constant search, I have come across Nunaat.com. 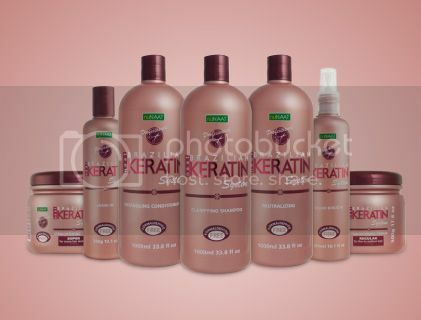 This hair care brand carries a wide selection of products such as shampoos, conditioners, moisturizing treatments and masks, styling products, and relaxers. nuNAAT caters to all hair types – normal, dry, chemically processed, brittle with split ends, wavy, frizzy, very wavy, and coarse. All their products are made from the finest ingredients that nature can offer like different types of nuts and plants, berries, and fruits. All I want is shiny, healthy, and dandruff-free hair that is why I tried the NAAT Brazilian Keratin System Professional. It has Green Keratin that permeates deep into the hair and sticking fast to cuticles, in the process treating them. My hair is naturally wavy but when I started using this it became straighter. Furthermore, I noticed that after only a few washes my hair has become softer, shinier, and smoother. Another thing I noticed is that I no longer have split ends and falling hair. I really love my beautiful, healthy hair. 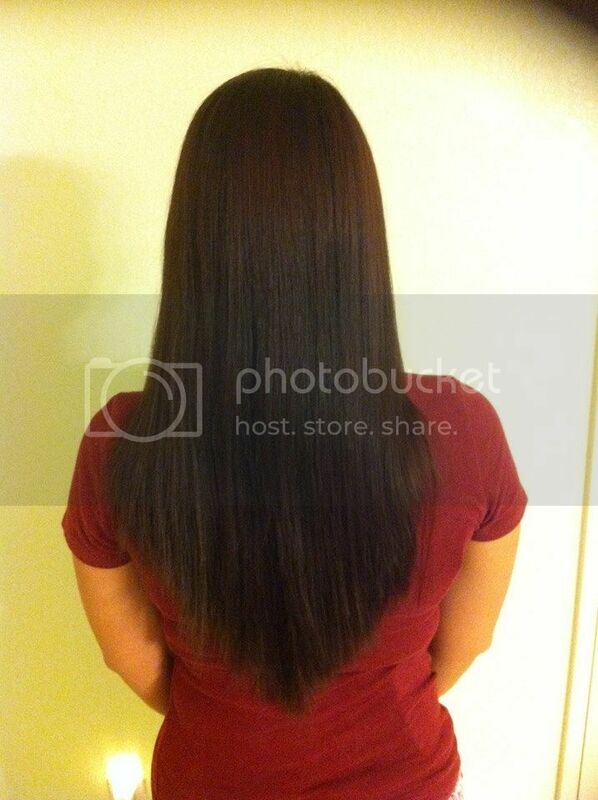 I experienced this only with NAAT Brazilian Keratin System Professional. I am also very particular with regards to the ingredients in the products I use so realizing that this does not have Formaldehyde and sodium chloride made me even happier and more satisfied. Like nuNAAT’s Facebook page to stay updated on their products. They are also on Twitter. For shopping convenience, visit and shop for their products online at nuNAAT Online. Retailers such as Walgreens, Walmart, Sally Beauty Supplies, Duane Reade (New York Metropolitan Area) and Navarro Discount Pharmacy also carry the nuNAAT product lines. Remember to always select the right hair care products for your needs, follow a hair care regimen, and apply hair masks and mineral oils when needed. I was really lucky to have these pieces for free from the awesome online shop called Choies.com. 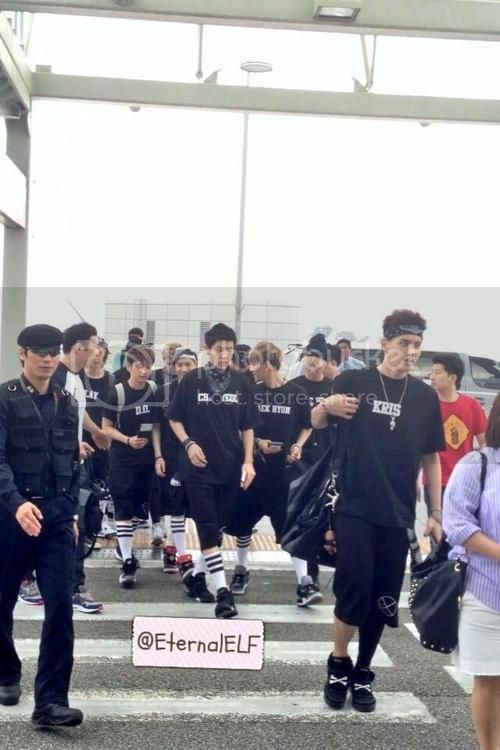 I actually fan of Asian clothing than to those high-end labels and kind of styling. Because Asian clothing are the most cheapest and yet fashionable that can keeps you in trends and definitely makes you dope like the superstar. Yeah! believed me, Asian clothing most especially these sorts of Korean fashion are the one most look forward by the fashion forward and enthusiasts nowadays due with the influences of these artists who keep wearing these Asian clothing as their fashion statements. As you can see on this blog’s sidebar. I got a lot of Asian stores hanging there for you to choose from on where were you feels to buy your things out. No worries, all the online stores listed on my sidebar are all legit and they do give some great deals too in each of their items selling. But of course, I highly recommended this Choies.com , an Hong Kong based clothing company, for you to buy your things. Because they do have this reward thingy as you signup on their sign even without purchasing a single penny. Yeah! that’s how they considerable on their each prospect consumers much more for their loyal customers. 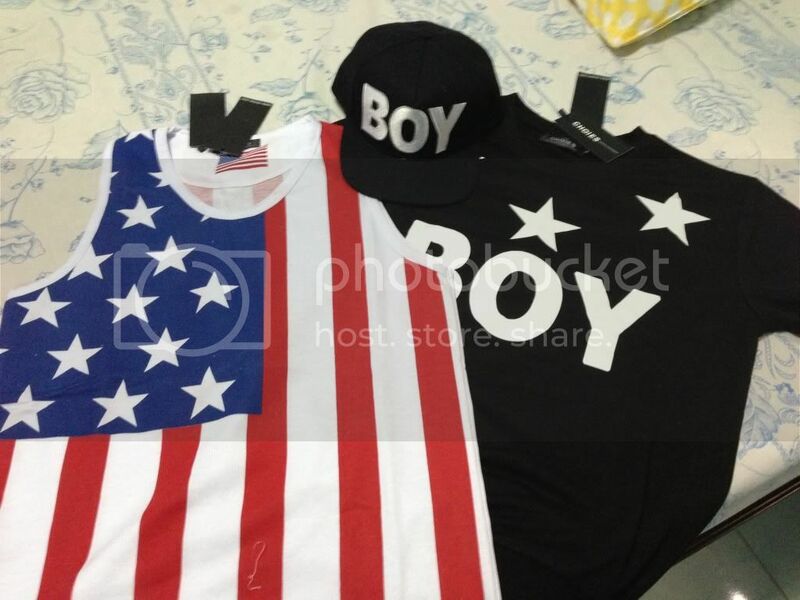 Btw, they’ve sent me this one tank top that has American flag Prints, which I supposed though to wear at independence day that I havent able too, because the item arrives late already.. Also, they gave me one dope black pullover that has a 3 stars in it which has resemblance with some boy London pieces, I think so, together with this kind of boy London cap too, I think I just imitating sorts of high-end brands and sell it in very reasonable prices. But do fairness to them, all the items has made of high quality materials like the originals. Go check them out now for further details and for the list of items they were selling on. 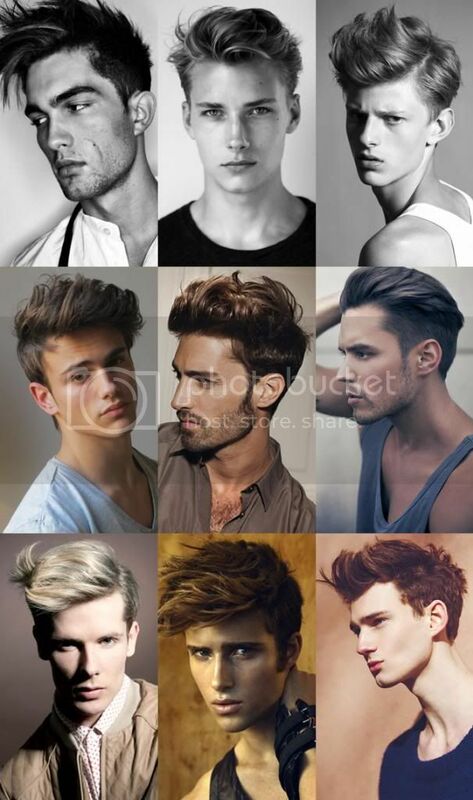 How To Style Men’s Hair? Yeah! It’s kinda hard to us men to style our hair without using anything products or devices to achieve the hair style we wanted to rock on in the certain day or events. However, now a days, as the all things evolved and as fashion accepts in all gender. Fixing hairs and styling it is not really a problem now, for both girls and men. Because there’s a lot of techniques already , which relevant enough, to do even you dont have any hair products and hair devices with you. If you are a guy, I really suggest you to have your hair done first with this salon who knows on styling hair. Because they really know on how to cut and trim hair with angel which may appropriate with your face shape and so that may compliment and fits on you most. I actually dont have any idea on how does they do it because I am not that professional with hair cutting and haircut things but am rest assured you that these guys , in the salon, really knows on how they can chop the hair that may compliment with your face shape. I am again relay with the video sharing site, Youtube for this one. Because in here we can really find all the relevant videos and tutorial videos that does help us to know on how things happen. And here’s the video on how to professionally cut the men’s hair. This was really what I meat on the top which having a great haircut done is a must for you to achieved the great hairstyle you wanted. There’s actually a bunch of tutorial videos over youtube. You can just heads up there and search all the haircuts related videos for you to know the best fits for you.